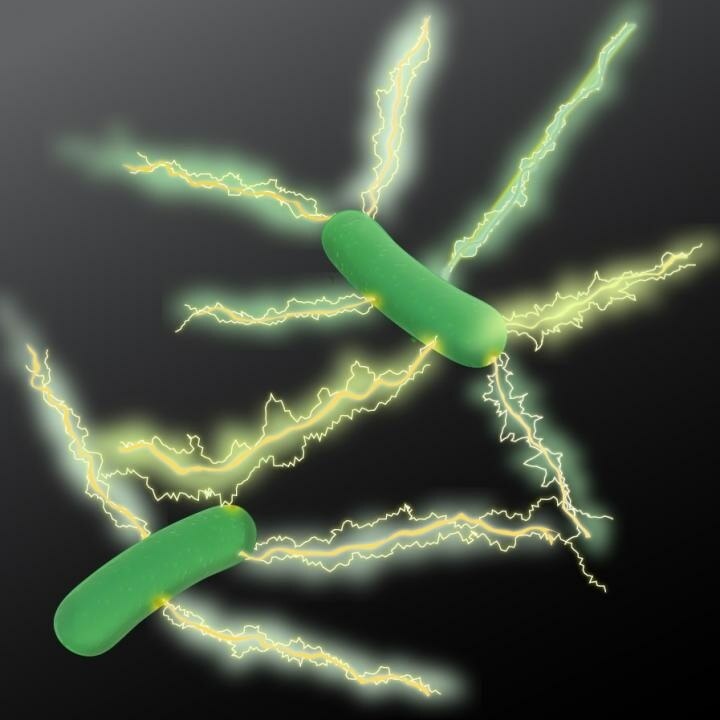 A new type of natural wire formed by bacteria has been discovered by microbiologists at the University of Massachusetts Amherst. This could significantly accelerate the goal of researchers to develop sustainable “green” conducting materials for the electronics sector. The research by Derek Lovley and colleagues has been featured in mBio, the American Society of Microbiology’s premier journal. The researchers examined microbial nanowires, which are actually protein filaments naturally used by bacteria to form electrical connections with other minerals or microbes. Microbial nanowires are a revolutionary electronic material with substantial advantages over man-made materials. Chemically synthesizing nanowires in the lab requires toxic chemicals, high temperatures and/or expensive metals. The energy requirements are enormous. By contrast, natural microbial nanowires can be mass-produced at room temperature from inexpensive renewable feedstocks in bioreactors with much lower energy inputs. And the final product is free of toxic components. Microbial nanowires therefore offer an unprecedented potential for developing novel materials, electronic devices and sensors for diverse applications with a new environmentally friendly technology. This is an important advance in microbial nanowire technology. The approach we outline in this paper demonstrates a rapid method for prospecting in nature to find better electronic materials. When his lab started focusing on the protein filaments of other Geobacter species, they were amazed to discover a variety of conductivities. For instance, one species retrieved from uranium-contaminated soil formed weak conductive filaments. But, another species, Geobacter metallireducens formed nanowires that were 5,000 times more conductive than the G. sulfurreducens wires. In their new study, which was supported by the U.S. Office of Naval Research, they did not analyze the G. metallireducens strain directly. Instead, they chose the gene for the protein that assembles into microbial nanowires from it and incorporated this into G. sulfurreducens. Genetically modified G. sulfurreducens that expresses the G. metallireducens protein was the outcome, making nanowires a lot more conductive than G. sulfurreducens would naturally create. The researchers explain that the G. metallireducens nanowires have extremely high conductivity due to its greater quantities of aromatic amino acids. Tightly packed aromatic rings seem to be a main component of microbial nanowire conductivity, and more aromatic rings perhaps would better connections for electron transfer along the length of the protein filaments.